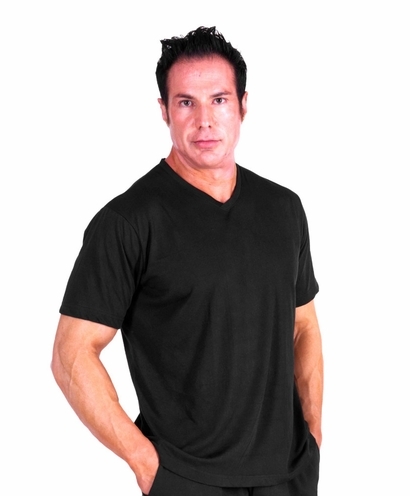 Style #T4912 If you're a man who struggles with annoying and embarrassing night sweats due to illness or temperature irregularity, theMen's Moisture Wicking V-Neck T-Shirt from Cool-jams™ is a great sleep shirt that just may change your sleeping habits. This innovative top has a classic T-shirt shape complete with an attractive V-neck, but unlike your typical T-shirt, it's designed to wick away moisture and leave you feeling cool and dry. The secret is in the silky fabric, which contains Cool-jams™ performance fabric technology that absorbs moisture, dries very quickly and even eliminates bacteria that cause body odor. 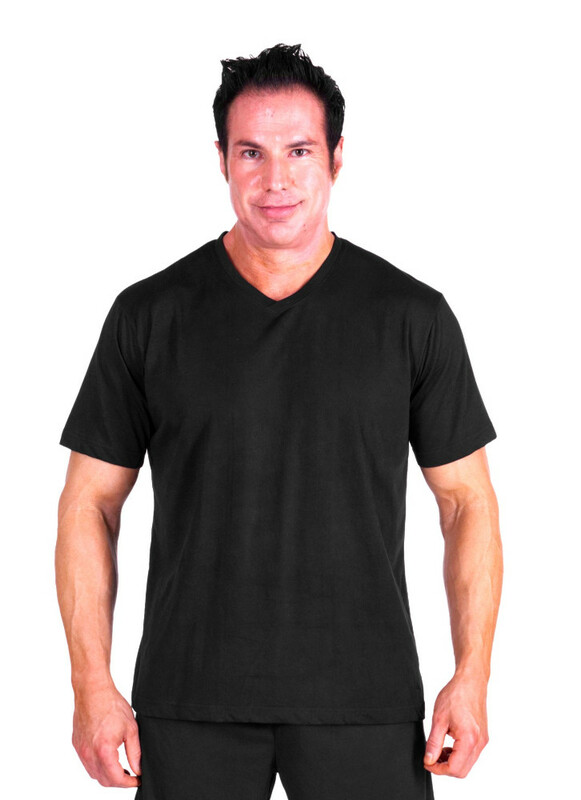 This fabric is also incredibly wrinkle-resistant, making this dry wick men's pajama shirt ideal for wearing nightly or even taking with you while traveling. 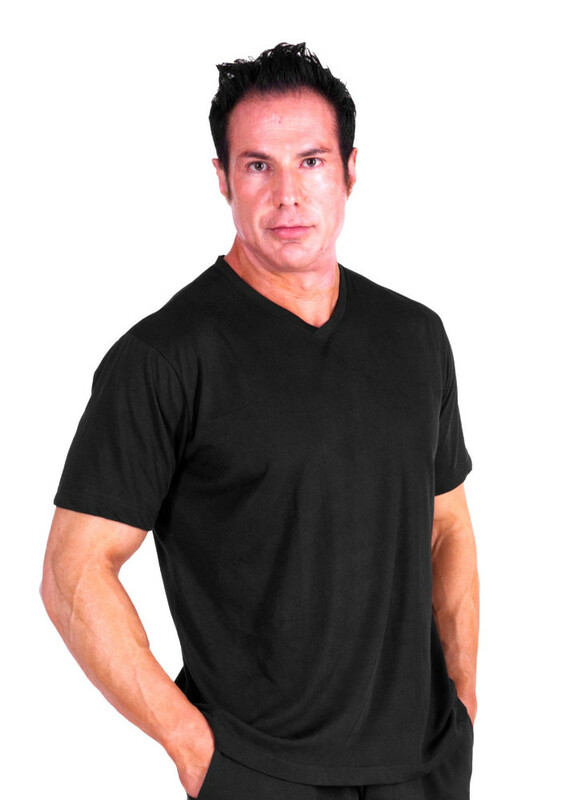 Choose from a variety of stylish colors from Cool-jams™ to make our Men's Moisture Wicking V-Neck T-Shirt your own. We even offer a number of wicking pants and shorts in the same shades to help create a complete sleepwear set. Garment weight approximately 6 oz. 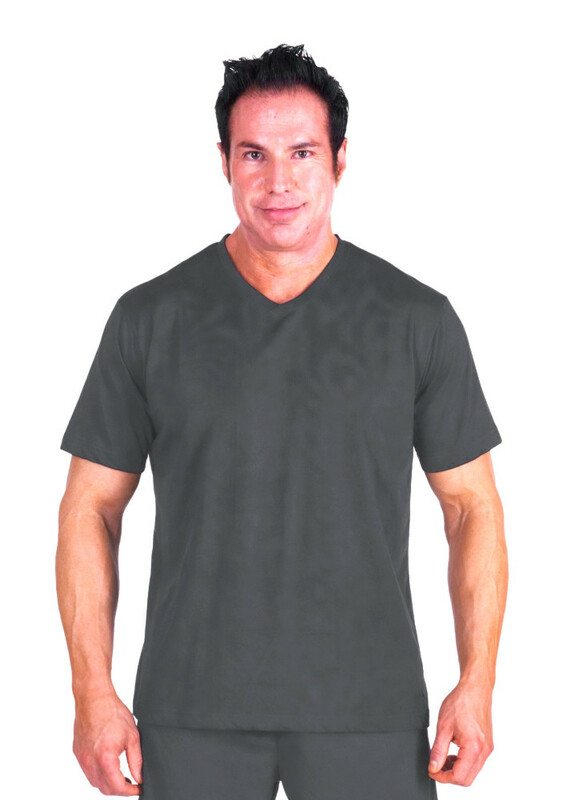 Care instructions: Wash your men's sleep shirt in cool or warm water on gentle cycle. Never use fabric softener or fabric softener sheets because it will minimize the wicking properties of the fabric. If you accidentally use fabric softeners, re-wash the garment in clear water to remove softener residue, so the wicking properties will return to maximum effectiveness. 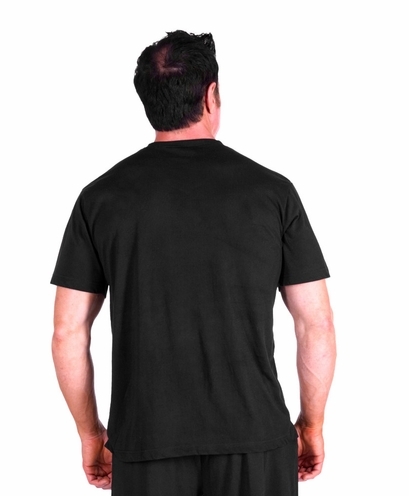 Tumble drying won't damage the men's pajama shirt, but can sometimes create static. Chest 39-41 in. 42-45 in. 46-49 in. 50-53 in. Waist 32-34 in. 36-38 in. 40-42 in. 44-46 in. Hip 39-42 in. 43-46 in. 47-50 in. 51-54 in. For years I suffered with soaking towels every night. I was afraid to go to sleep, knowing I would wake up in a puddle. I simply cannot say enough about the Cool-Jams shirt I bought. A dry sleep....for the first time in years...!!!.... What could anyone say about that?.... Thank you thank you thank you. Love it. I don't wake up soaked anymore. I want to buy more. My husband sweats every night and I've bought him other sleep shirts of bamboo, modal, cotton, poly, etc. that are cooling, wicking. Nothing works as good as Cool-jams and all the other products stink after about 6 months and nothing will take it out. He's had one of your cool jams shirts for 2 years and it still smells fresh. This is the best product ever!! I think wicking properties are somewhat reduced after laundering. with dryer sheet. Don't use fabric softeners. If you do, just wash with plain water and it will be back to normal wicking. Merchant's comment: Yes...that is correct. You should not use fabric softeners on any wicking products since it will block the pores of the fabric. If you forget and have used fabric softener or fabric softener sheets, just wash with plain water and the wicking properties will be completely restored. Live in warm climate ...great product for me! I live in Arizona and I'm hot most of the time. 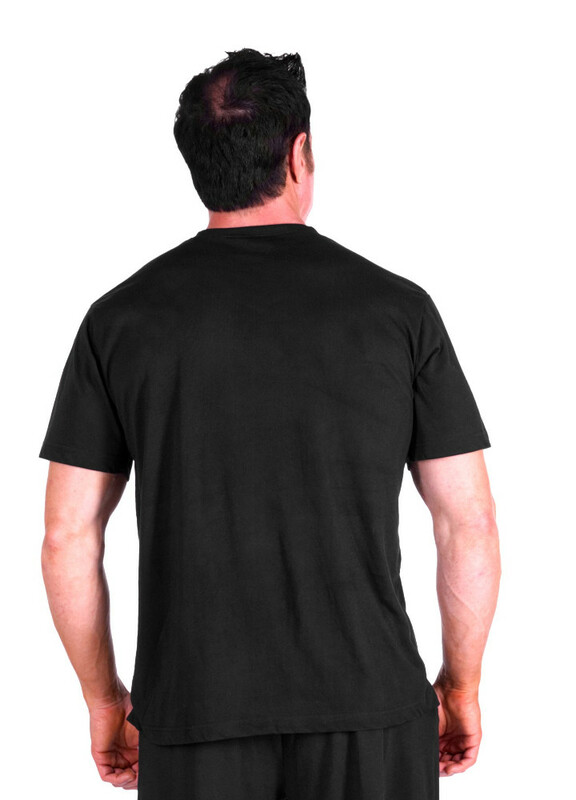 This t-shirt is helpful for keeping cool all year round.